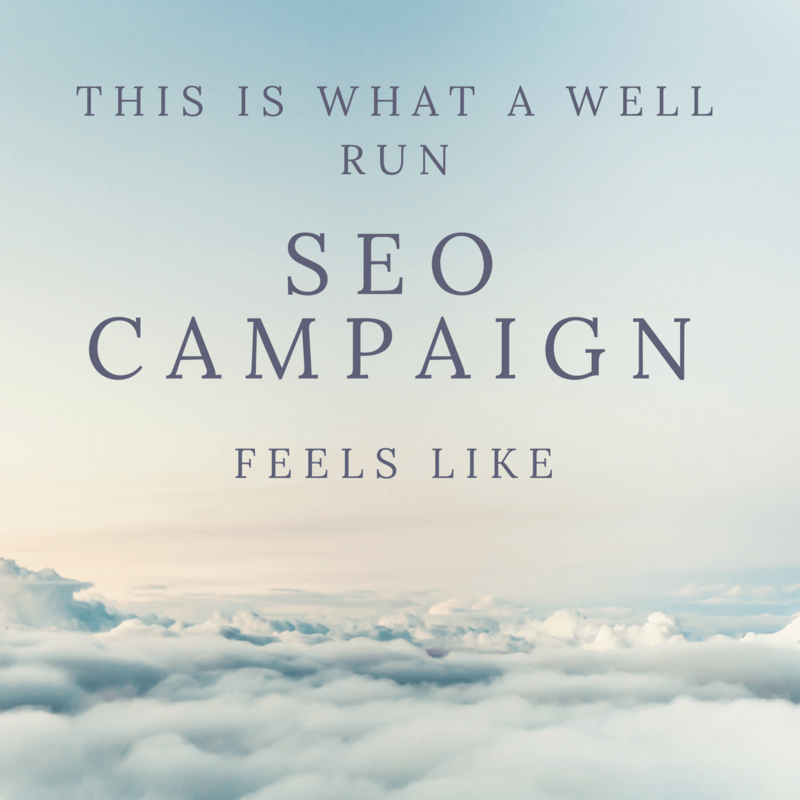 When a business calls me to consult they often ask "what is an SEO campaign?" This question in itself can vary from service provider mostly because every Denver SEO consultant has a different level of experience behind them. Personally I've been in SEO since 2003. That's fifteen years of experience for anyone that's counting. That's an eternity in this business and it gives me a distinct edge over my competition, mostly because I've been the "practicing physician" the entire time. I get data from other sources but I always verify before implementing on client campaigns. Putting my experience to the side for a moment, the concept behind SEO is to increase search engine traffic to your website. Not just any search engine traffic but traffic that is Transactional in nature or from searches that are performed to buy something. Or maybe even searches with Commercial intent or what I refer to as Commercial Investigation type searches. These are searches performed by consumers looking to find the right source for a product or service. What Is Involved In An SEO Campaign? Are Your Clients National Or Local To Denver? If you're in need of national SEO services then you're going to need a different campaign than that of those in need of local SEO services here in Denver. Maybe you need help with your eCommerce website or maybe you have a marketing team at a large company and really need someone with SEO experience. It all starts with keyword research so that your Denver SEO specialist in charge of your campaign can find relevant terms that will attract and engage users for your website so that you can turn those visitors into dollars. Getting search intent correct right out of the gate will be extremely valuable to your SEO campaign and will drive value for years to come. There are other intricacies that I will explain below. National SEO Across The U.S.
A national SEO campaign typically consists of lots of content creation. This content is built both on your site and off of your site with a majority of it being created off-site. The goal here is to build up your website authority by providing answers to questions that searchers might have about products and services that you sell. First you give them what they want by providing them with fantastic content on your website that answers a majority of their questions. Then you want to build authority to those pages. This authority comes from other topically relevant pages that link to your URL contextually from within their page. This is where SEO magic happens. It's tedious work but it's extremely rewarding. A local SEO campaign consists of all of the above plus having to worry about the local maps algorithm. You know, that little three pack of listings that shows up when you perform a search for a local business? That's the one. The algorithm that controls the map pack is different from the algorithm that controls the other listings. Yes, this means more work. So, your local SEO campaign will consist of a content strategy, on and off-site, similar to that of a national campaign plus a maps pack strategy to make your listing stand out in local search as well. Depending on the type of business you're in this map pack listing can drive a substantial amount of business your way so this will be a necessity. These are big sites, commonly Fortune 1000 websites but oftentimes websites that just happen to have lots of product or service pages. These require a team of talented individuals to get the work done in a timely matter. This is something that I'm fully prepared to support your enterprise SEO needs through my dedicated team of professional SEO content providers and specialists. ECommerce companies depend on organic search traffic for a living. Without great SEO these sites don't have much of a chance. Optimizing for these websites is similar to that of optimizing for a national campaign with some additional intricacies to consider such as content used on product pages, URL structure and more. I can fully support your E-commerce SEO needs. Seriously...What Is An SEO Campaign? The gist of running an SEO campaign is this... Your website popularity is measured by Google. That's how they rank websites on the first page. What they deem the most popular page for a search engine query is the page that they will show at the top of the SERPS. An SEO campaign is essentially a campaign to boost the popularity and relevance of your website above all that of all other websites in your niche so that you are the one Google decides to place in the coveted top spot. A popularity contest? Yes. You thought that was over with in high school? Not so much. Google relies on its algorithm to stack their search results from 1 to 100 and beyond. If your website isn't the most popular then you're not going to be on the first page. This is the popularity contest. The great thing about popularity is that anyone can beome popular with the right team behind them. Just like politics, you need the right team to succeed and it's very much a popularity contest. To start you have to prove to Google that you know what you're talking about by providing them the great content. They see great content as information that provides an answer to a question or a solution or a resource. They see your website as a resource and will compare you to your competition so make sure you're providing the same level of information or more than that of your competition or you will get left behind. Once you've accomplished this you will need to have everyone back you up by saying that you really do know what you're talking about. This is your celebrity backing in a presidential race. The more popular the celebrity the more powerful their vote. This applies to websites as well. These are the contextual links that mention your website coming from other trusted resources. This is SEO in a nutshell. It's a relatively straightforward process with plenty of complexities throughout. If you want to learn more about these complexities the best thing to do is to give us a call at 303-997-2222 or fill out our contact form. If you know that you need SEO then that's great. If you're ready to go then please fill our our consultation form to learn more about my process for helping clients succeed, even in the most competitive of niches. This will provide me the information I need to quickly analyze your campaign and provide you with answers to your questions before we get on the phone to discuss. The answer to this question truly depends on your budget. What can you afford to spend on an SEO campaign? I'm happy to work with your business if you understand the value of a full blown SEO campaign and can work with most budgets. Keep in mind that ranking aren't going to happen overnight. This is important to understand because a lot of businesses (especially small businesses) need an immediate ROI on their marketing and advertising dollars. I understand this but if that's the case with your business then SEO may not be the best answer for you at this moment. My goal is to keep you informed as a consumer. If someone tells you that you need to run an SEO campaign then first you need to understand what an SEO campaign actually is before you make that decision. Not only do you need to understand what goes into your search engine optimization campaign but you also need to understand just what you can get out of it. We only work with companies where we can make substantial economic gains for. Fill out the form below by clicking on the blue button below and if you qualify we will go through a quick ROI analysis for your website so that you can understand what kind of return you can get out of your SEO campaign.